Tikaaaal! | Where's my backpack? 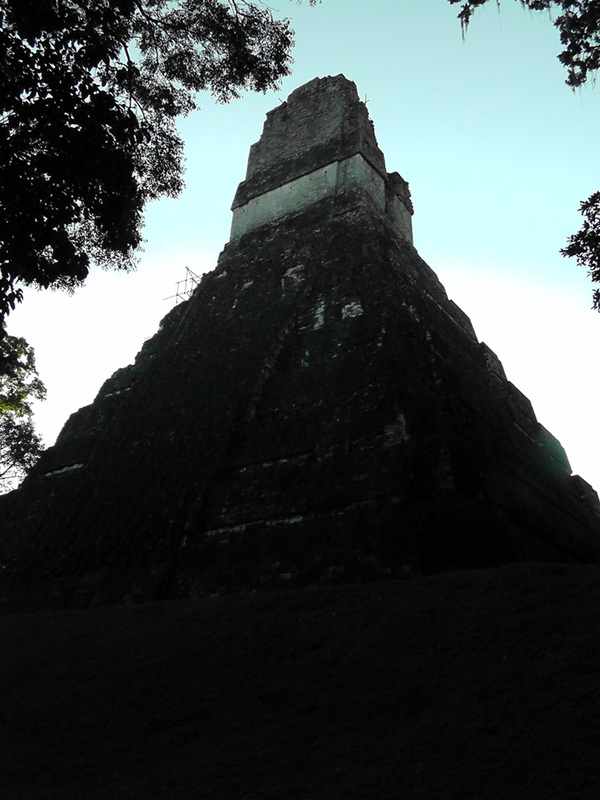 Alright, it’s Tikal, not Tikaaal, but I was so excited I had to shout. 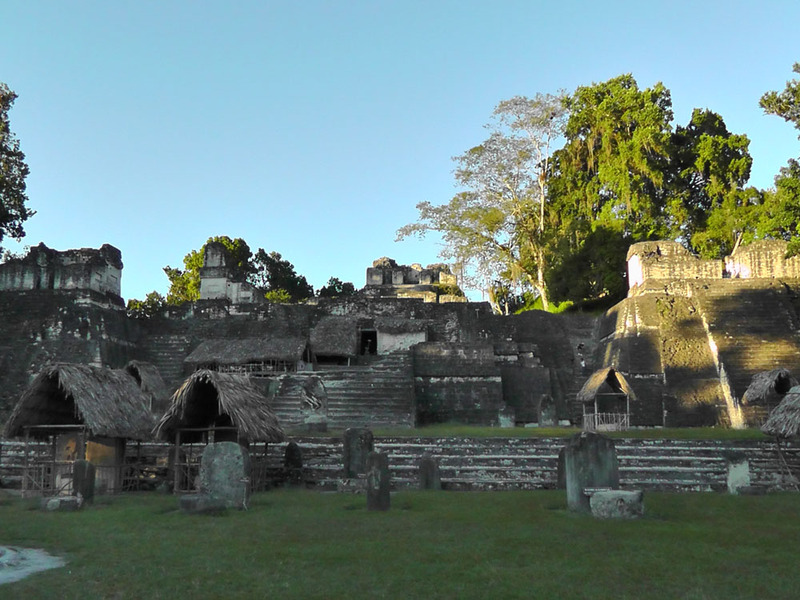 Tikal was right at the top of my list of places to visit in Guatemala, and I was so determined to get there from Antigua that I arranged for a shuttle bus to pick me up at 4am. 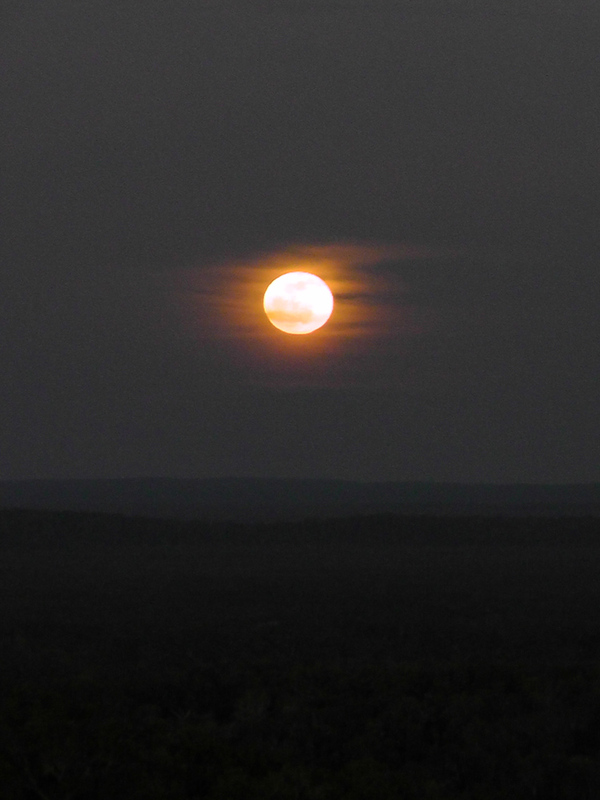 Consider this – the night before, I had gone to see Volcán de Fuego put on a spectacular lava display at night – so I didn’t get back until very, very late, and still had to pack for Tikal. The end result was that I didn’t actually go to bed at all, opting instead to drink gallons of Guatemalan coffee as I packed my jungle gear into a small case. Just as I was zipping up my case, the shuttle driver rapped at the door, and I was off to the jungle. 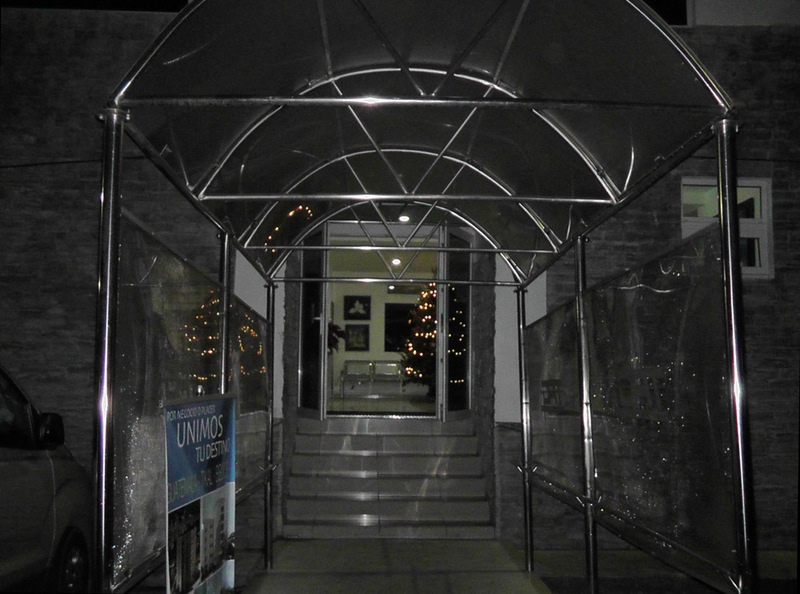 We wound through the dark cobblestone streets of Antigua, picking up other passengers and then headed for the airport. All of the other passengers were flying internationally, so the bus pulled into the main airport first and everyone got out, leaving me to travel alone to the airport for internal flights. I hadn’t realised that there were two separate airports and started to get out with the others, but Manuel, the very sweet shuttle driver, told me we had to drive a bit further to the next airport. When he dropped me outside what looked like the entrance to a small apartment building, I began to wonder if he was spinning a yarn, but I wandered into a room akin to someone’s living room, decorated with a massive Christmas tree and sure enough, it was the airport for internal flights. I checked my case and helped myself to a steaming cup of coffee from an urn sitting on a table next to the Christmas tree. My flight was flight number 2 – I suspect there were only two flights leaving the airport at that time. One cup of coffee later, it was time to board, and we shuffled out onto the runway and climbed a bunkbed ladder into a tiny little plane. I was sitting right at the back and here’s the view I had. 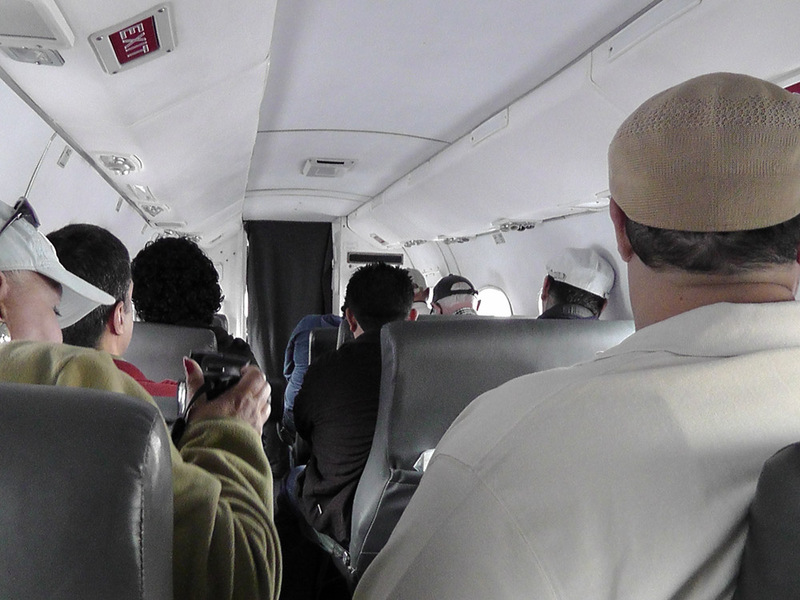 For such a tiny plane, it was a remarkably smooth flight. 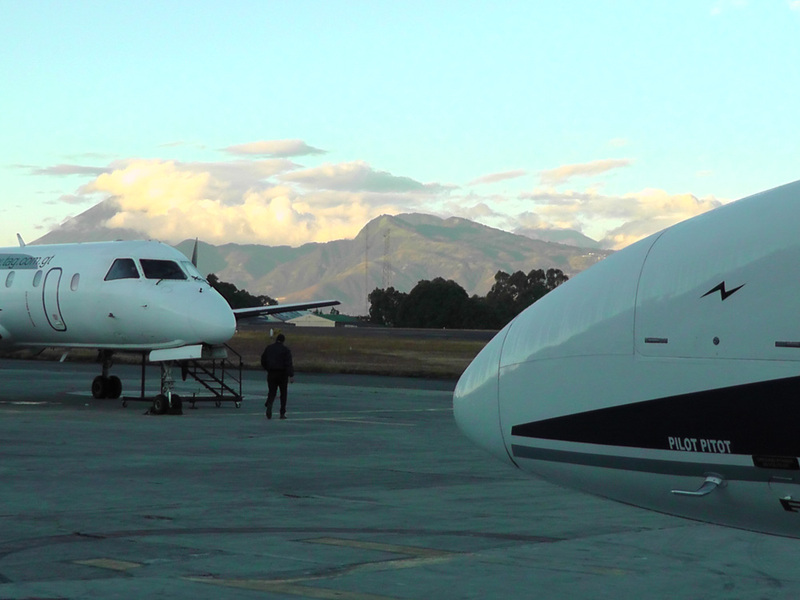 Just under an hour later, we landed in Flores airport, where I waited forever for my checked case to surface – apparently they wait until Flight 1 lands and then unload all the luggage at the same time. And then it was off by shuttle to Tikal. 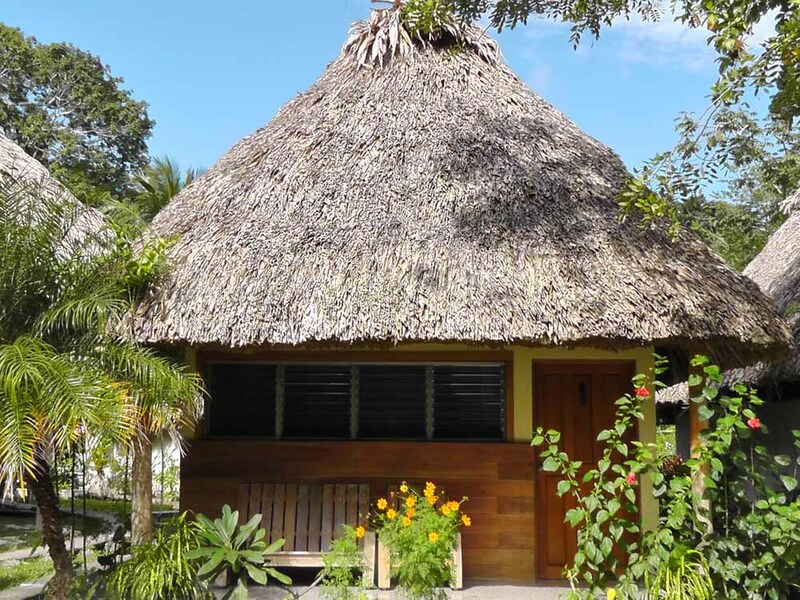 I was staying at the Tikal Inn and they provided a shuttle bus and a tour guide to chat to you along the way. Most of the passengers were Spanish speakers, so he spoke mostly in Spanish but I followed along for the most part. Shortly before we arrived, he told me I was booked on the afternoon tour (I thought I’d just booked the flight and an overnight at the Tikal Inn but I guess I got a tour thrown in for good luck, that was nice). When I mentioned I was looking forward to watching wildlife, he suggested I switch my tour to do the sunset tour instead, as it was a better time to spot animals, so when I checked in at the hotel we switched tours. 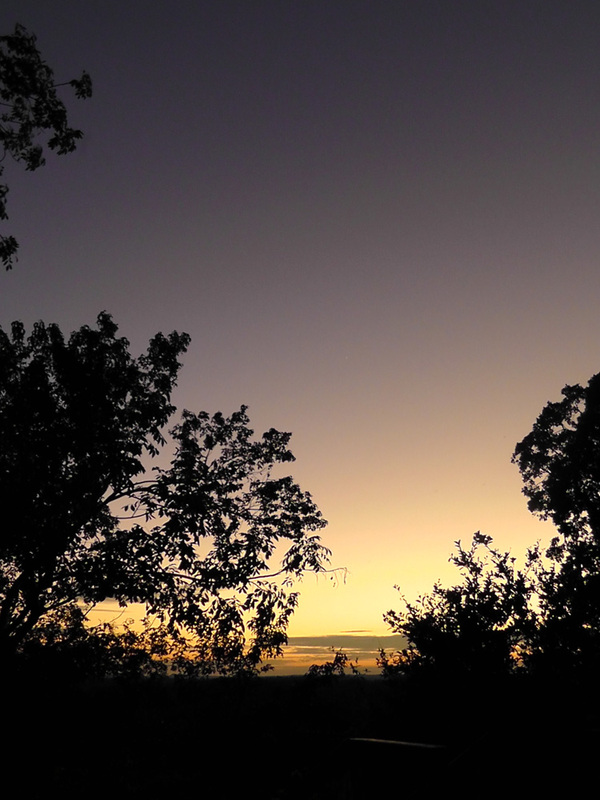 I also booked a sunrise tour, what the heck, I figured I might as well see dawn over the jungle too. It was perfect, as it meant I had a leisurely morning and early afternoon before my tour at 3pm – a welcome respite seeing as I hadn’t slept the night before. 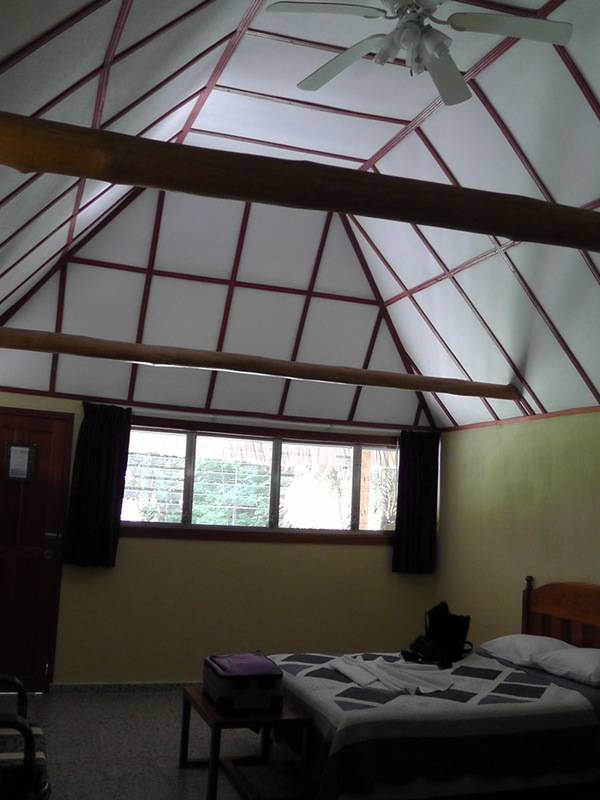 I was shown to my room – it was my very own bungalow in the middle of the jungle – a massive room with a generous bathroom, bliss. I threw my stuff on the bed and went out for a wander. As I was walking away from the bungalow, a tiny little hummingbird whizzed by, then did a u-turn and hovered about a foot from my face for what seemed like an eternity. I smiled and informed him quietly that I was, in fact, human, and not a delectable flower, and he went on his way. Quite an auspicious start to my stay. 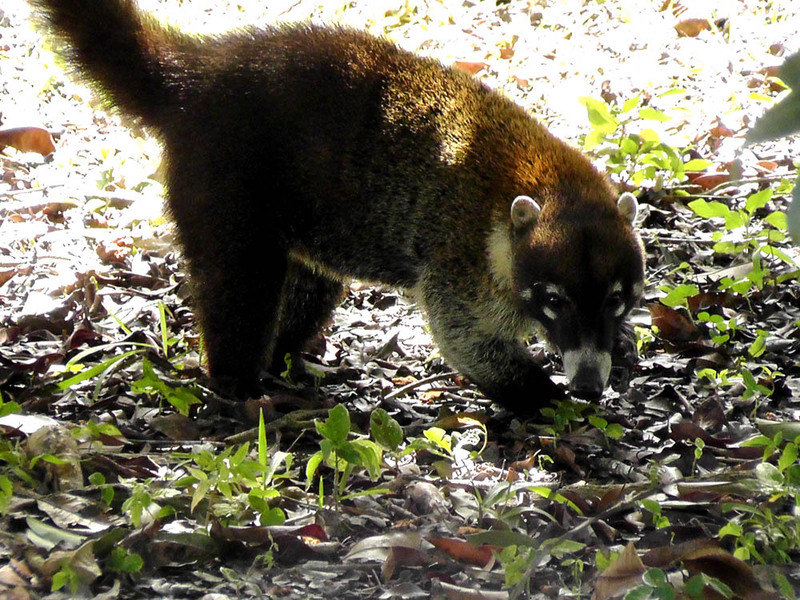 Next I ran into a white-nosed coati, or rather, he ran into me while he was foraging for food. 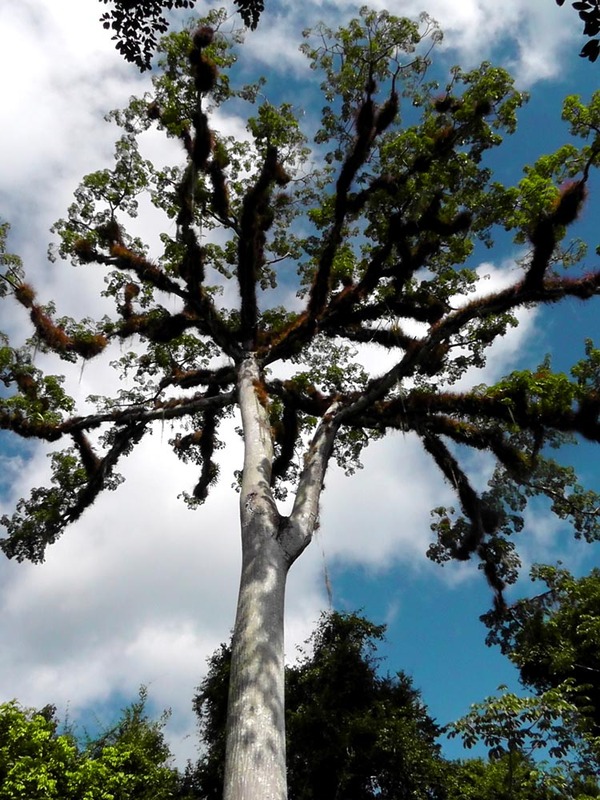 I made it as far as the giant Ceiba tree; the Mayan Tree of Life, before tiredness got the better of me, and I went back to my bungalow for a quick snooze before lunch. After lunch I met up with the guide for the sunset tour, Nixon, a sweet guy with a gentle way about him and a laugh that melts your heart. 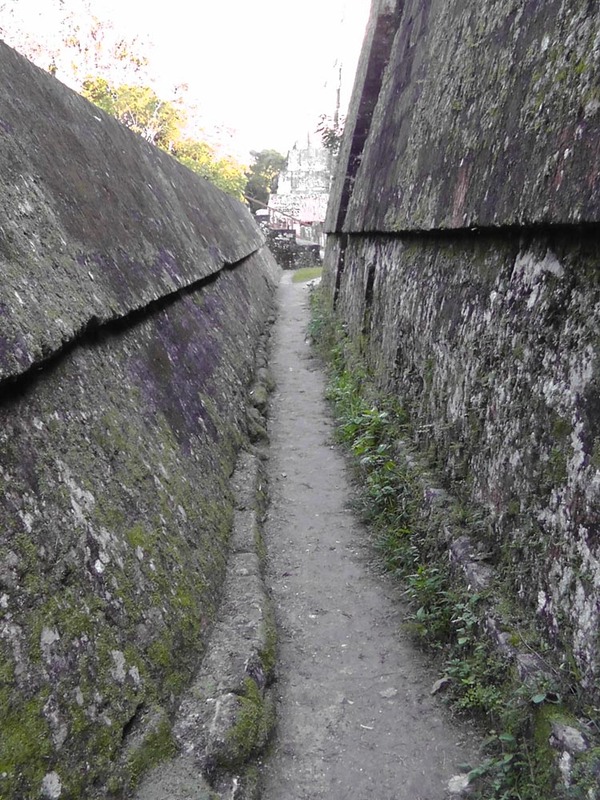 I was the only one on the tour, which was fantastic, it meant we could wander along at our own pace, stopping to look at wildlife and making our own way through the temples without following any prescribed route. We stopped off first at a model showing the layout of the site so I could get an overview of where we were going. 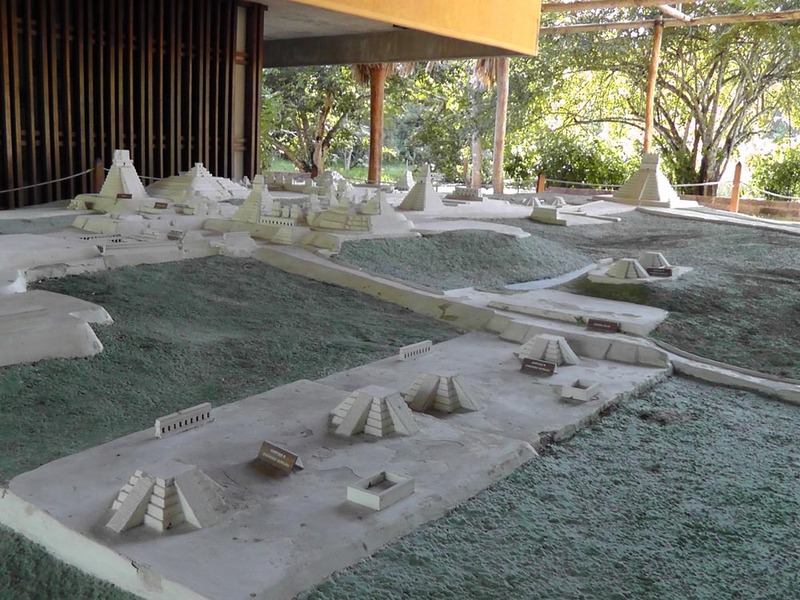 Partial view of the model of the complex. Over to the left is the Grand Plaza where we were originally going to view sunset, at the back is Temple 4, the highest structure in Tikal, where we ended up. 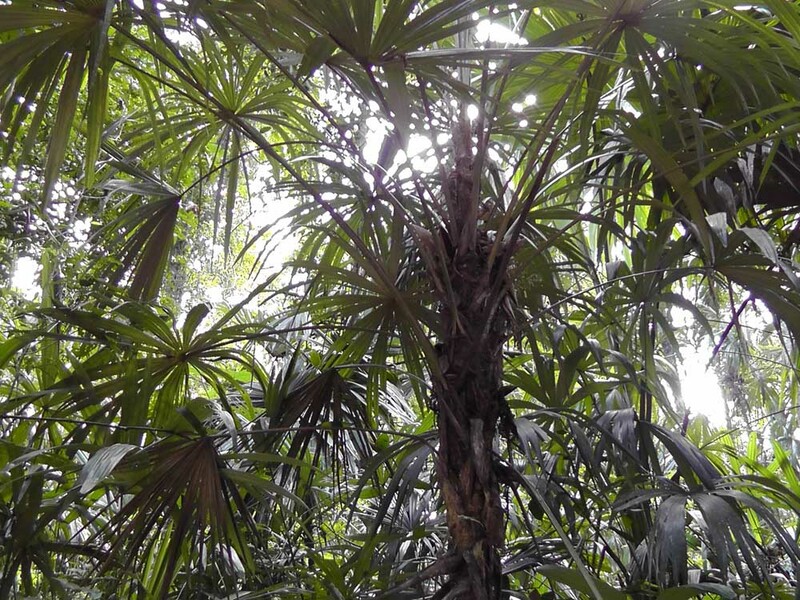 One of the many awe-inspiring structures we came across hiding in the depths of the jungle. 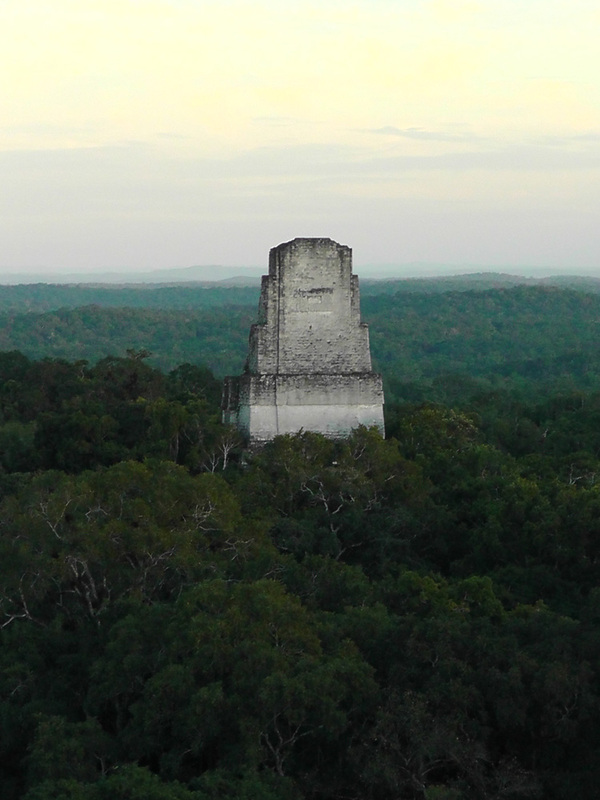 My first view of Temple 1, aka The Temple of the Grand Jaguar, soaring 45 meters into the heavens. Nixon was fantastic; he was a font of information and was also pretty nifty at making bird noises to encourage birds to hang around for me to get a good look at them. Despite our meanderings, we made good time, and actually arrived about 20 minutes early to the spot we were supposed to view the sunset from in the Grand Plaza. 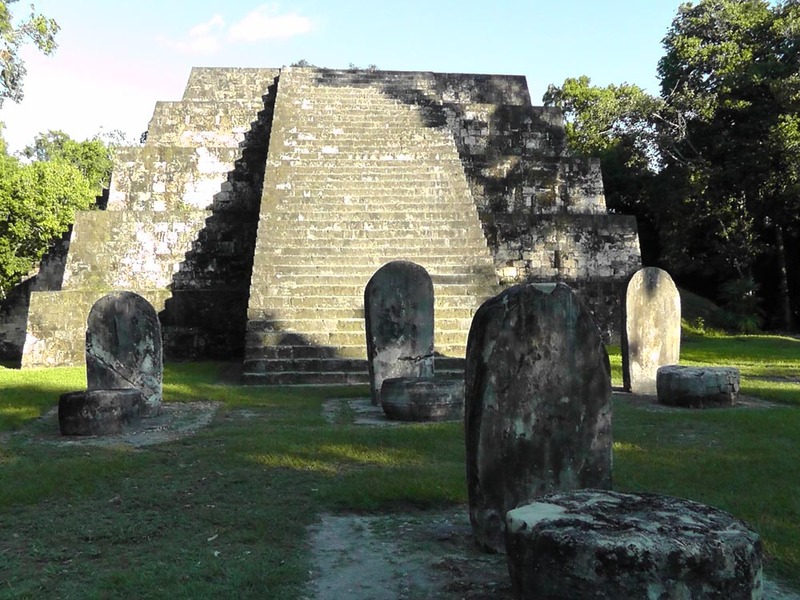 Along the way, I’d told Nixon about my other adventures in Guatemala, so when we were standing in the middle of the Grand Plaza, he looked slyly at me and said “You climbed Pacaya, you can make it to the top of Temple 4 before sunset. Do you want to?” Temple 4 is the highest of the pyramids, of course I was game for it. Nixon led the way along a narrow alley between the buildings and suddenly we were off the regular trails and beating a track through the jungle proper – you know, pushing through leaves and undergrowth, not ambling along wide paths – this was the experience I was looking for. We moved at a quick pace, and all of a sudden the jungle gave way to a clearing with an immense pyramid. Wow. I couldn’t see the top from where I was standing. Round the side there was a wooden stairway built to reach the top of Temple 4, so we clambered up the steps two at a time, eager to reach the top and settle in to watch the setting sun. 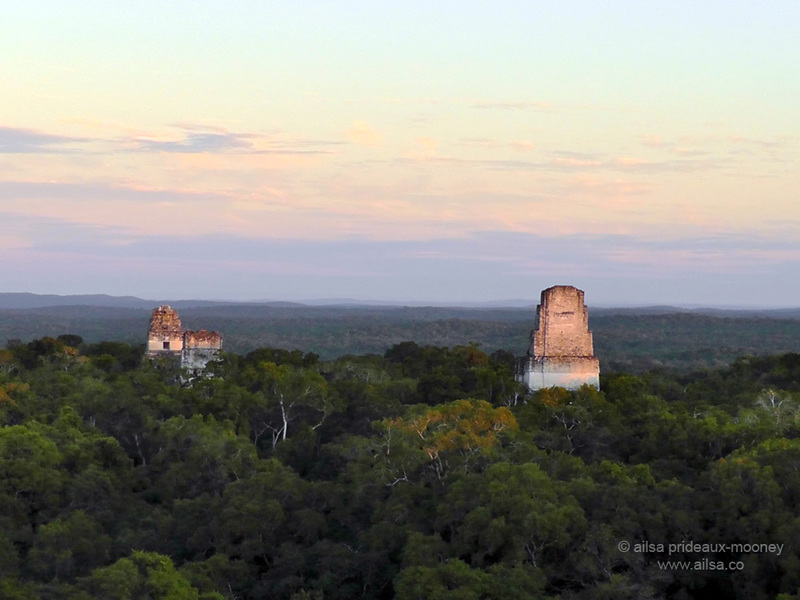 The view from the top of the temple was stunning – seeing those temples towering above the thick jungle makes you appreciate the vastness of the structures and the skill of the ancient Mayans who constructed them. 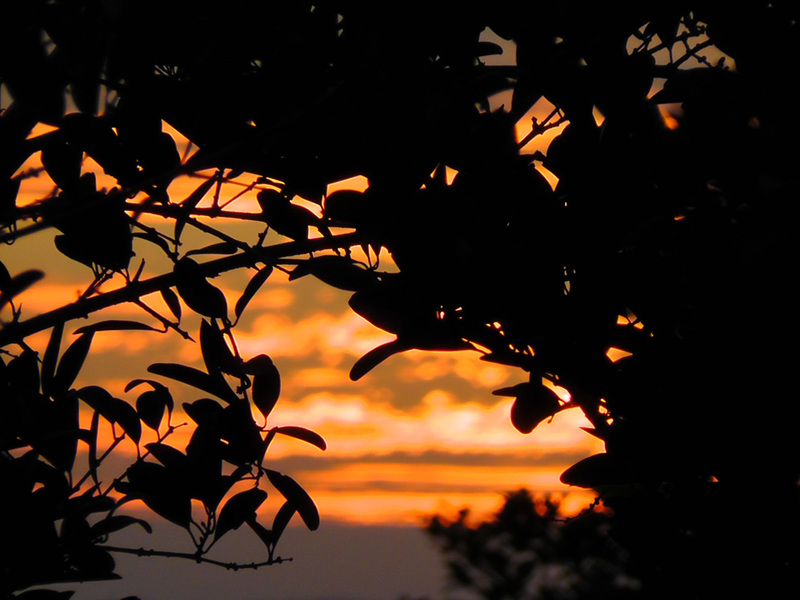 They were glowing in the dying light of the sun, but the sun was setting around the back of Temple 4. Hard to imagine this as a thriving metropolis BC & early AD; nature has reclaimed this place so completely. 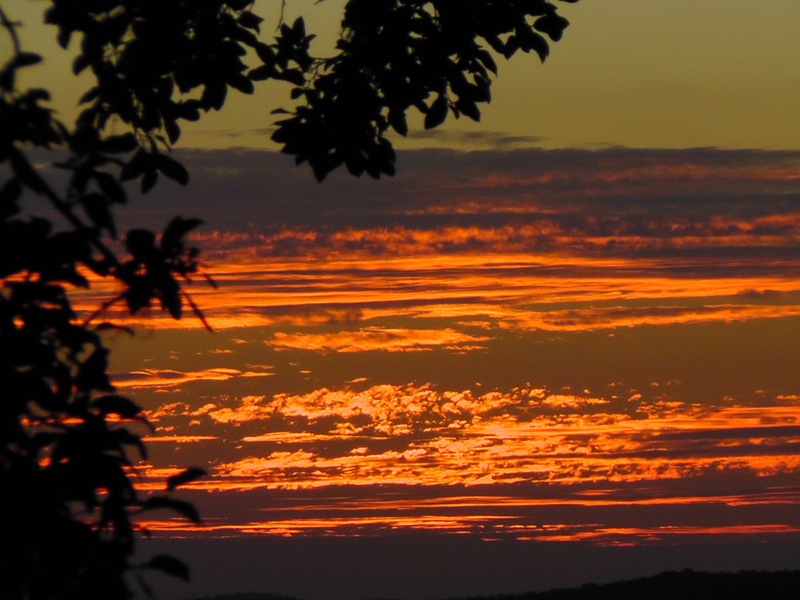 I could tell there was a spectacular sunset going on, but it was difficult to see through the trees. There were some very funny moments when the temple guards tried to move branches out of the way for me to take photos, we were laughing uproariously as we were manoevering the trees from the top of the temple, but then the guards decided to give me access to the off-limits area round the back of the temple. I was at once humbled and exhilarated to be allowed into an area the public doesn’t get to see, and the sunset from the back of the temple blew me away. Wow! Taken from the top of Temple 4, round the back. I couldn’t believe the beauty of what I was seeing. 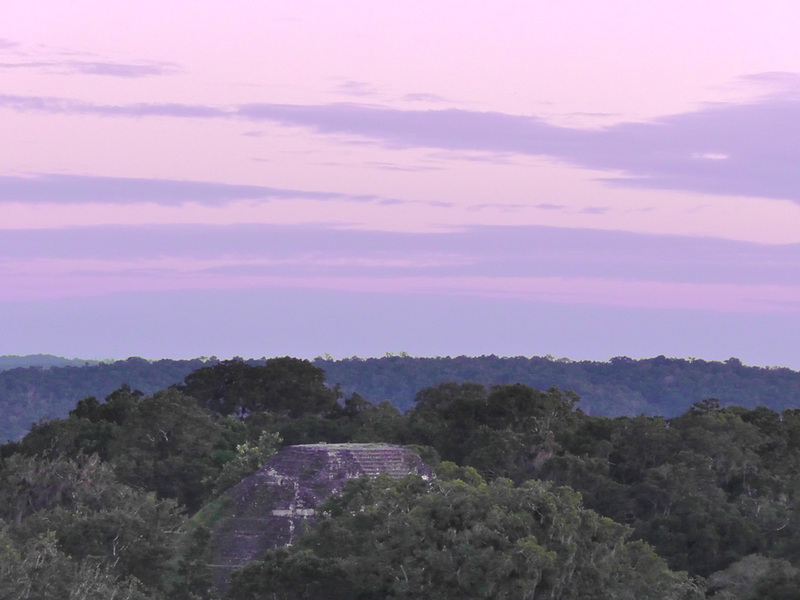 I hadn’t realised that it was a full moon, and I was watching it rise over the jungle from the top of the highest pyramid in the Tikal complex. I stood there with Nixon and the temple guards in awed silence. And then there were the noises. As the sunlight disappeared, the noises of the animals who reign during the day started to die down until with one last squawk, there was complete and utter silence. It lasted for perhaps a minute, maybe less, but the silence was complete. And then the noises of the night began to swell, and the jungle was once again a chirping, hooting, wailing cacophony of unfamiliar sounds. 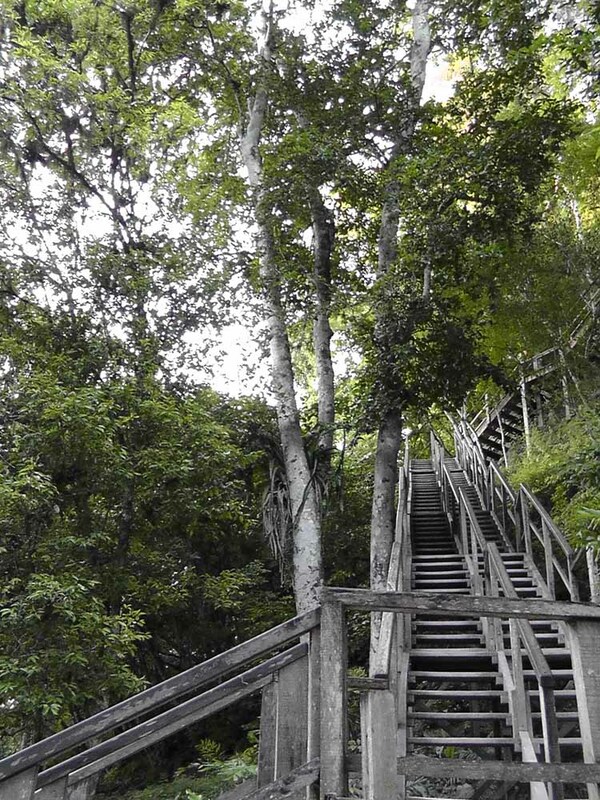 Now it was time to leave, so we made our way carefully down the wooden steps to the floor of the jungle. 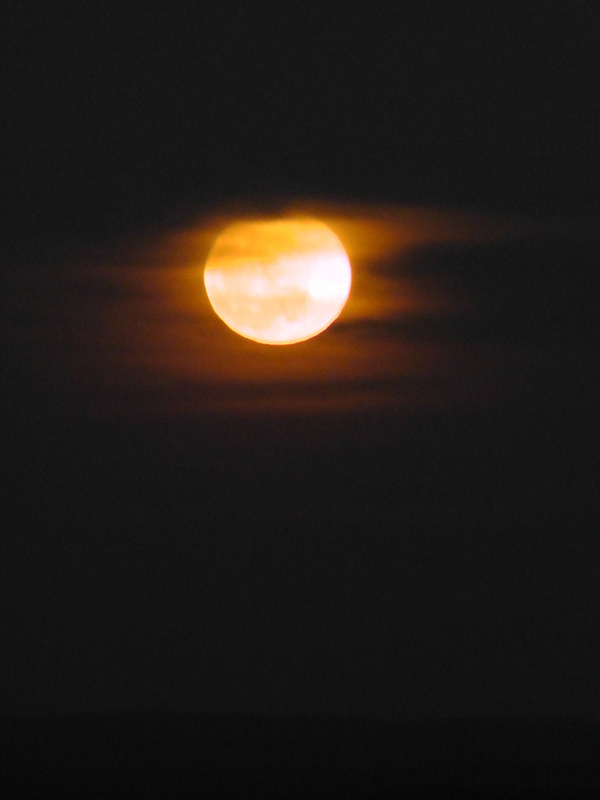 The full moon, which was so bright from the top of the temple, was barely visible down below in the depths of the jungle, so we had to use flashlights to find our way – we walked about 3 miles through the jungle back to the Tikal Inn, and it was the most thrilling 3 miles I have ever walked, surrounded by the smells and sounds of the jungle. After a quick bite to eat and a long, long shower, I turned in for the night. All electricity in the park comes from generators which they turn off at 10pm so they don’t disturb the animals, so even if you wanted to stay up, there wouldn’t be a lot to do. After missing an entire night’s sleep the night before, I could barely keep my eyes open; even the howler monkeys couldn’t keep me awake, but just before I got into bed, I noticed a 6″ gap running around the top of the bungalow, covered by mesh to keep pesky mosquitoes away, which meant you could hear the noises of the jungle as clearly as if you were sleeping outdoors. What a glorious way to drift off to sleep. 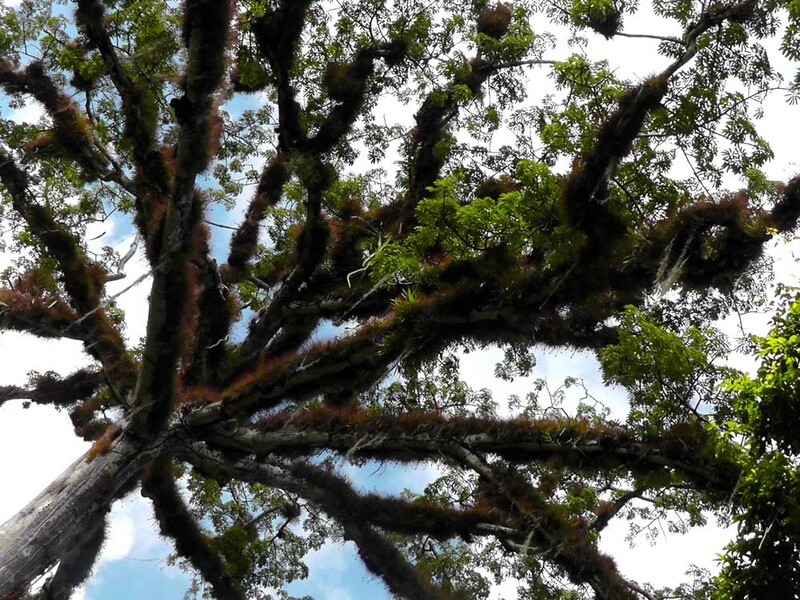 This entry was posted in Guatemala, Photography, Travel and tagged history, nature, photography, photos, pictures, postaweek2011, travel, writing. Bookmark the permalink. These photos are AWESOME! So so good! Your journey is mesmerizing. I can only imagine what is must be like to be in such a historic place and seeing such beauty. Your caption about the earth recapturing the landscape where once there was a thriving metropolis says it all and is amazing. I really need to just spend an hour or two with you blog alone to absorb your journey. Mesmerizing is the perfect word to describe this place, Walter. 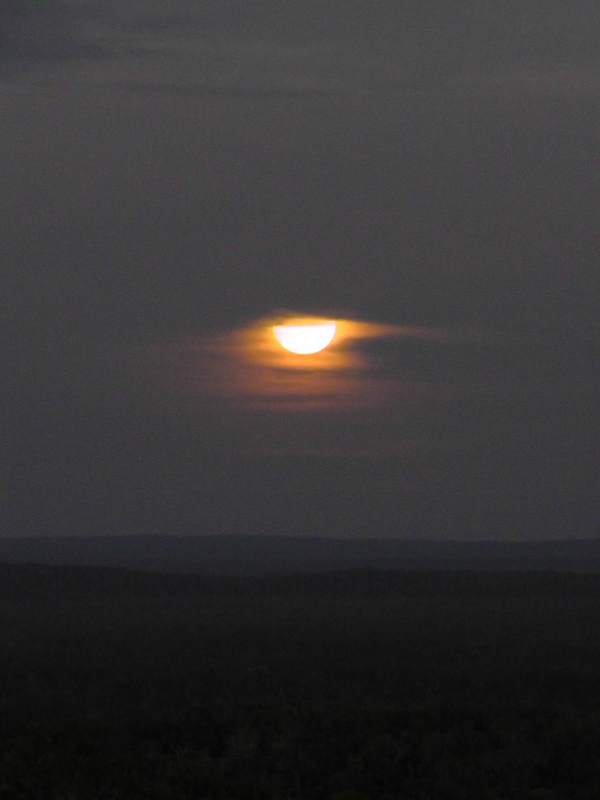 I have been lucky enough to experience the most incredible scenery and encounter the warmest people here. 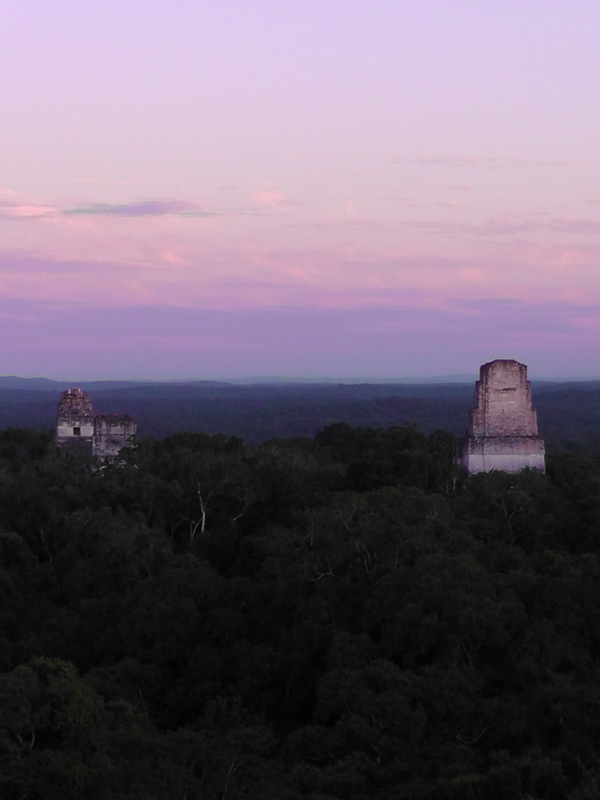 It is humbling to think that Tikal was once the Manhattan of Central America in early BC and now all that remains visible are a few temple peaks peering through the dense jungle. 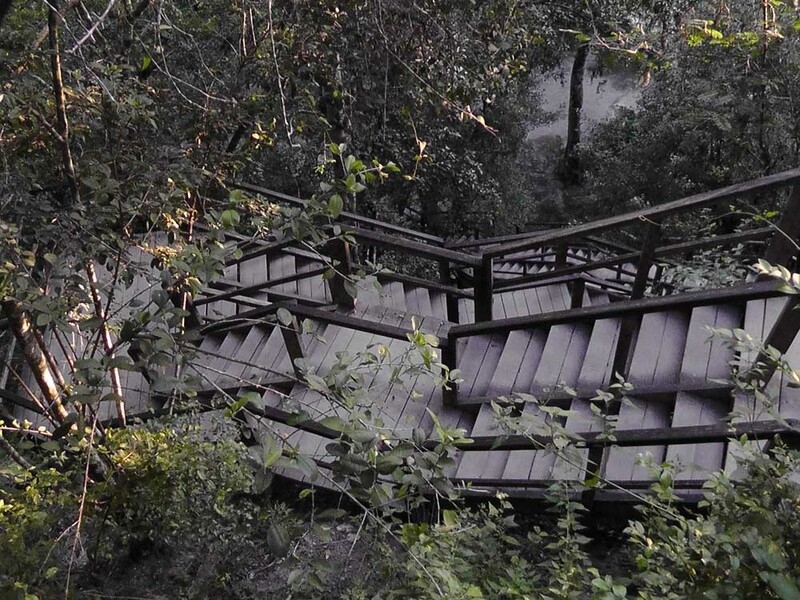 It really puts into perspective the impermanence of human achievement compared to the majestic force of nature. Wow, its so beautiful. I wish i could be here. Michigan is cold right now! I love your pictures and can’t wait for you to post more! It really was the most magical experience, I can’t remember a time before or since when I’ve been filled with so much wonder. Thanks so much for the post. I’m headed to Guatemala next month and will hopefully have an experience as magical and beautiful as yours! I’m looking forward to reading more of all of your adventures!